Welcome to EV City. Christchurch's Electric and Hybrid Vehicle Specialist. You can buy this vehicle pre prepared for use as an UBER. PSV compliant with COF, Cargo Barrier and required door warning stickers. Please call to find out how EV city makes UBER preparation easy and affordable. 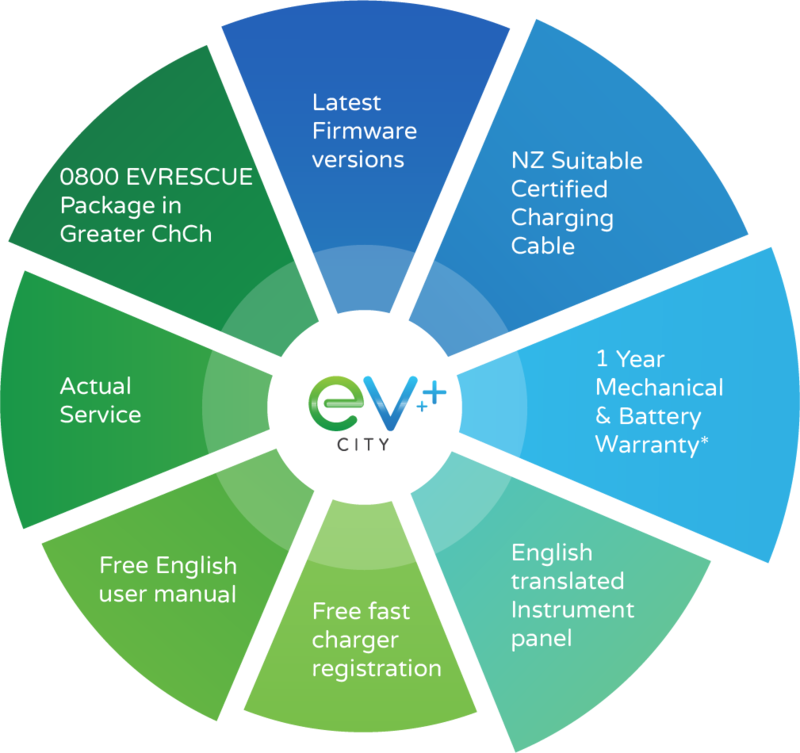 When you buy your car from EV City you are automatically enrolled in the EV City 5 Trees Club which allows access to our Level 2 Chargers and Waiting Lounge. EV City 5 Trees Lounge is always well stocked with Food and Beverages. EV City Has partnered with Ecotricity to offer our Electric Vehicle buyers a special EV friendly power plan. EV City also offers you a digital document storage option to save use of paper. Come in and Enjoy the Buying Experience at EV City. Please Note: Any pricing is subject to change without notice at the discretion of EV City. Some product pricing is indicative only and has been determined based on the available properties of this vehicle, which may not be accurate. Planning a trip in your EV.